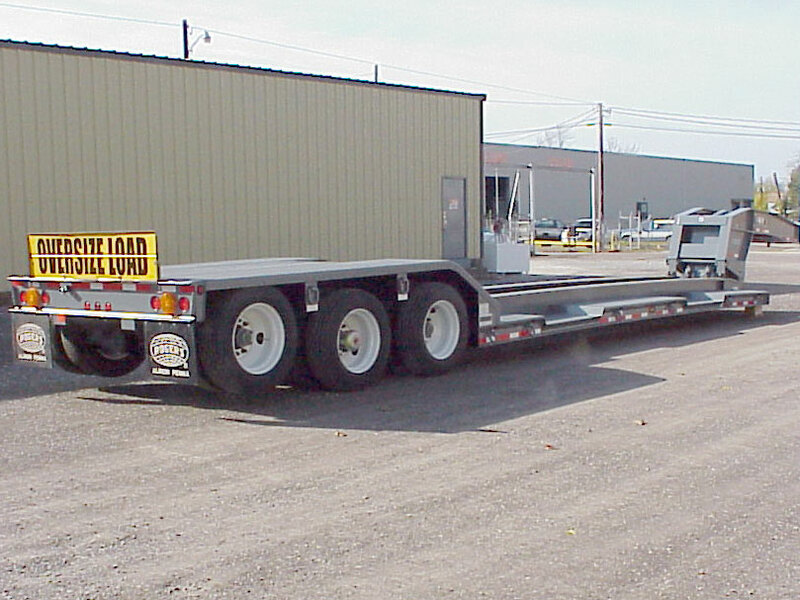 This is a 55-ton capacity ROGERS lowbed with a cambered drop side deck designed to carry its load in half the deck length. The powerful "No Foot"® Tower style gooseneck lifts using low hydraulic pressure. It has the award-winning ROGERS wheel wells for increased overhead load clearance. Reinforced 1/4" tread plate covers the modified ramps and the rear frame for equipment loads. Customer specified rear channel has 7" diameter amber lights that meet New York State DOT requirements. Flag holders and a reversible OVERSIZE LOAD / WIDE LOAD sign are safety features installed.